With 30 lenders and rates as low as 1.90% up to 60 mths and 84 mths at 3.49% on qualifing customers and vehicles WAC. Here are some of our lenders: Credit Unions: Family Security CU, Redstone FCU,NASA FCU, ListerHill CU, APCO Employees CU, ECO CU, WinSouth CU, AL State Employees CU, Aabama CU, Jefferson CU, Army Aviation Center FCU, Air Academy FCU, Marine FCU, Coosa Pines FCU, Piedmont Advantage CU, Tri Rivers FCU, DCH CU, First Flight FCU and CUDL. Banks: Wells Fargo,EVA Bank, Traditions Bank, ALLY, and TCF Bank (Gateway One). Finance Co: Santander, AmeriCredit, Exeter, American Credit Acpt, Nicholas, Custom, Regional and Dealer Funding. With a large inventory of over 400 vehicles and great pricing. Come see why we have become the largest independent dealer in North Alabama. We have financing for our out of state customers, as well as 2nd chance financing. If you have had a previous bankruptcy, charge-offs, repo or foreclosure we may can help. We also have programs for 1st time buyers and college graduates. Please call us or apply online for quick credit approval. W.A.C. 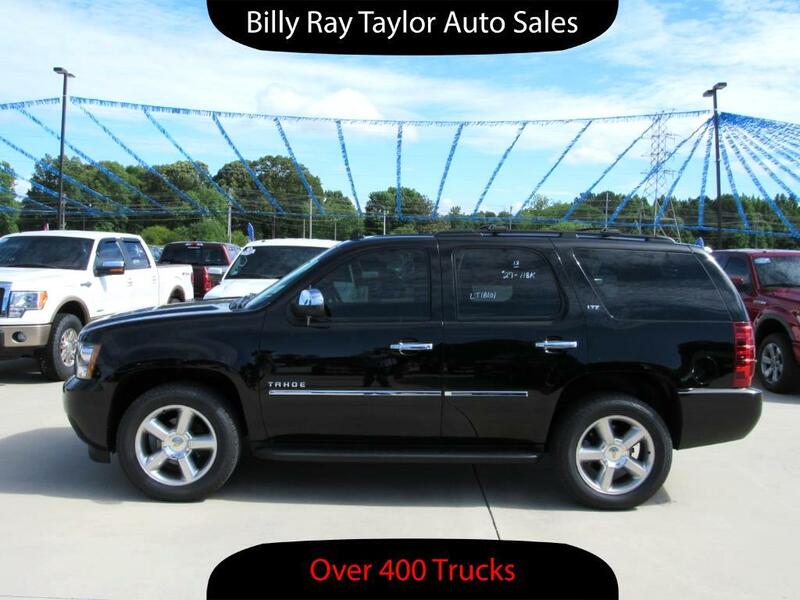 GOTO (www.billyraytaylorautosales.com) to see upto 60 pictures of each of our vehicles. Message: Thought you might be interested in this 2013 Chevrolet Tahoe. We strive to make no mistakes in our listing, but errors are possible. Please confirm pricing, equipment & availability of vehicle. Pricing online are for our internet customers only. Prices does not include sales tax, title & doc fees. Unless the vehicle has remaining factory warranty it will fall under 1 of 2 1)implied 30 days or 1000 miles 50/50 drive train only 2)AS IS NO WARRANTY You may still purchase service contracts on most of our vehicles.